I am a Business Attorney licensed in Texas and India. I have over 4 years of international experience in business and corporate law. I have provided business advisory to start-ups and entrepreneurs as well as to multi-national corporations and have a wide range of experience in domestic as well as cross-border transactional business law. I am skilled in contract drafting, review and negotiation. "Sehar Aijaz has been serving BioCentra as a legal and strategy consultant since early 2017. Sehar has reviewed our consulting, commission, distribution and supply agreements with meticulous attention. She has been instrumental in providing a strategic direction to our business dealing with both domestic and international clients. Sehar is a smart, authentic and dependable attorney who gets work done as promised, remains always available for advice and is knowledgeable in the corporate law and other related legal matters. Sehar is a resourceful person and provides a great networking support when things are beyond her area of expertise. Sehar is always ready to explain the legalities of any specific matter (related to her expertise). Her services are best suited for a small business that requires an honest and dependable legal representation or even a quick advice at times. She is not only experienced in her own practice area but also keen on understanding and solving complex legal issues that exist at the crossroads between the US and international laws. I highly recommend her legal services to any business owner operating in the Greater Austin area and beyond." Providing strategic and legal consulting for BioCentra LLC. 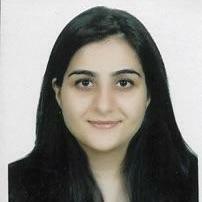 "Have had first hand experience while interacting with Sehar during her time at Indian Law Partners . She was instrumental in outlining the legal framework for my company relevant to the business. Always on point , detail oriented & thorough with her findings and observations. She will go a long way with her inter personal skills together with a sound legal back ground. Good Luck!" I was promoted to the position of a senior associate with effect from January 2016. My matters included cross-border M&A transactions, domestic advisory, regulatory work and contract management work. I was also involved with knowledge building in the firm. I managed a team of 2 junior lawyers in certain matters where they would report to me and I would oversee their work. I joined ALMT Legal as an associate post graduation from Law School after completing a 3 month internship programme during Law School. While at ALMT Legal, I mostly assisted the senior lawyers and partners of the firm in their matters including research, drafting and preparing for meetings.